Field data exists in many forms: work orders, manifests, revenue and job tickets, safety forms, inspection forms, and so on. Paper has been the go-to medium for recording and presenting this information. Given the alternatives that were historically available, paper had a great run as the best way to collect and present information. There are, however, several problems with paper. Given these problems and today’s alternative of digital capture, paper is no longer king. Inaccurate and inconsistent data due to unintelligent forms which lack enforcement and workflow. Unknown history. Who wrote what? When? Paper is easily lost, misplaced, and misfiled. Paper is fragile and prone to damage. Paper is inefficient. It can’t provide in context information to you based on your input. Collaboration is difficult if not impossible as paper can be in only one place at a time. Action-ability is delayed until paper is physically transported. 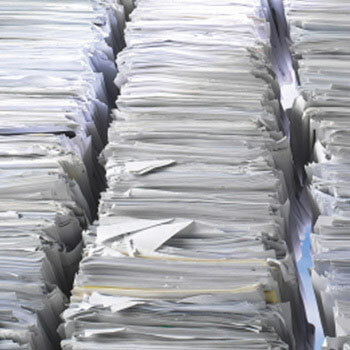 Reporting on paper’s data is delayed until physically transported and then transcribed. Using paper is bad for the environment. Paper is not secure. It offers no permissions nor authentication of users. Paper provides a single point of failure. And perhaps worst of all, information entered on paper is often transcribed into digital systems anyway. Digital capture of information, in the field, is a far better alternative, especially when information is to be transcribed anyway. Capture it once, accurately, effectively, efficiently, at the point engagement. 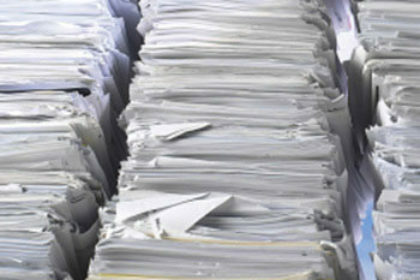 Eliminate all of paper’s problems using tablets or laptops. Well-designed digital ticketing solutions present intuitive interfaces that minimize input yet maximize data value by enforcing standards and presenting logical, in-context, options. Save money, improve processes, expedite data flow, collaborate, build workflows, and put your data to work for you. Paper had a good run, but there is a far better alternative available today.